My old classmate Adry, who shares a deep love of BBQ ribs with me, suggested meeting up at Gatlin’s BBQ. A place that opened up while Mimi and I were off exploring Manhattan, Gatlin’s was new to us. Our initial attempt was derailed by the hordes of Rodeo goers in town who purchased all the meat before we arrived at 6pm (on a weekday). A bit discouraged, and knowing we had limited meals wile in town, it was left on the list to sneak in at a later time. Fortunately for Mimi and I, our cool parents picked some up while we were off running errands and meeting friends. I’ll let the pics below do the talking. Some of the best ribs ever from Gatlin’s BBQ. 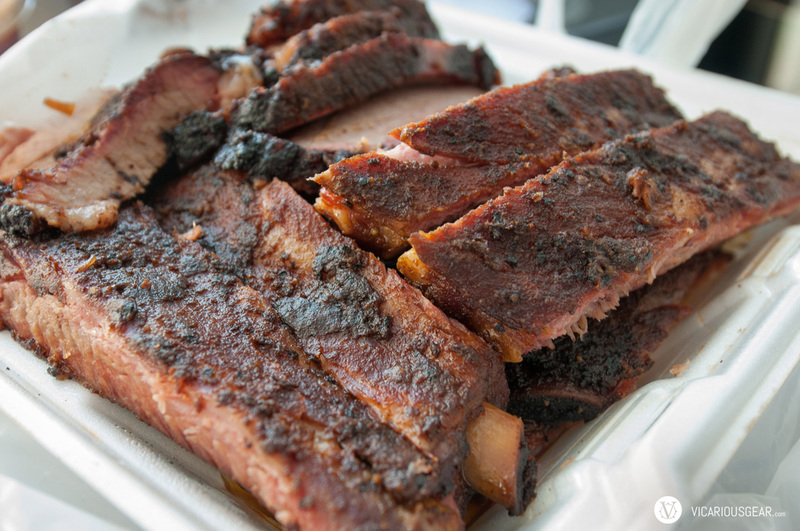 The rub had just the right kick to it and the meat would fall right off the bone… and into my mouth. 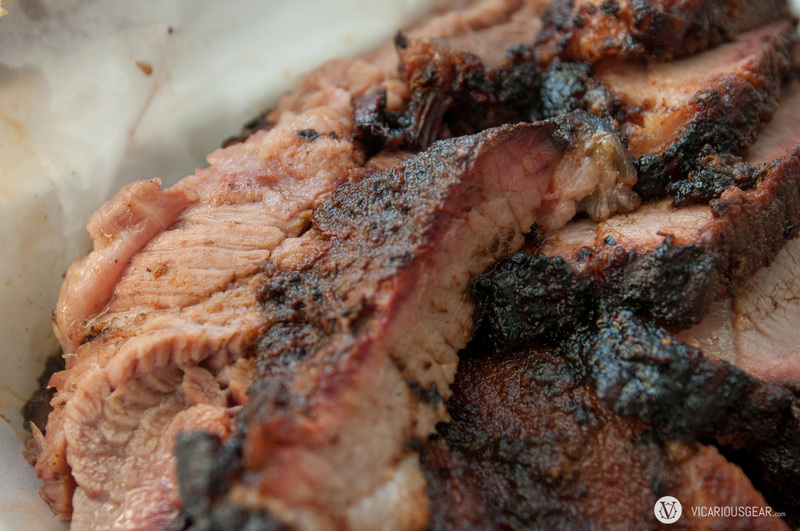 Gatlin’s brisket. Really tender and just moist enough without being too fatty. Before Mimi arrived from Cali, I had some time to visit another personal favorite, Papas BBQ. The huge chopped beef potatoes and beef ribs for incredibly cheap prices keep me coming back for more. I also dropped by Goode Co. BBQ. While I’m not a huge fan of their typical meat selection, the sweetwater duck in their distinct sauce and pecan pie are to die for. Unfortunately, no duck was consumed during this particular trip. 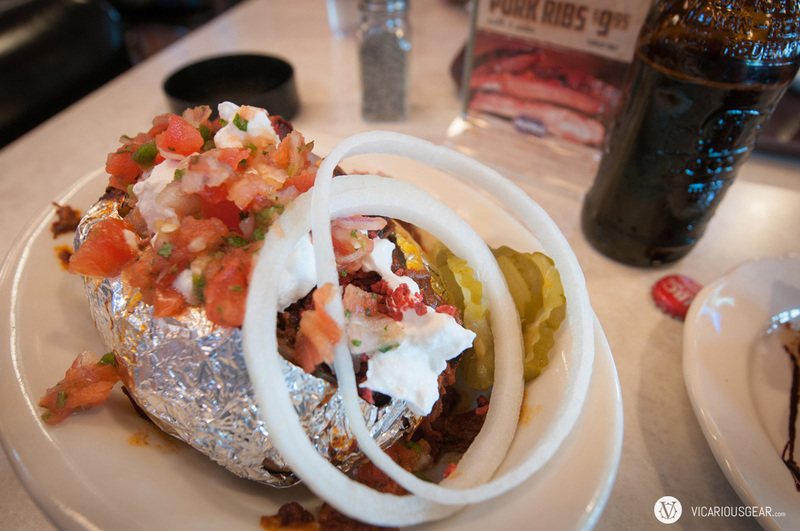 Chopped beef stuffed baked potato from Pappas BBQ. I craved these all the time as a kid and still do to this day. When paired with IBC root beer, it brings back some great memories. 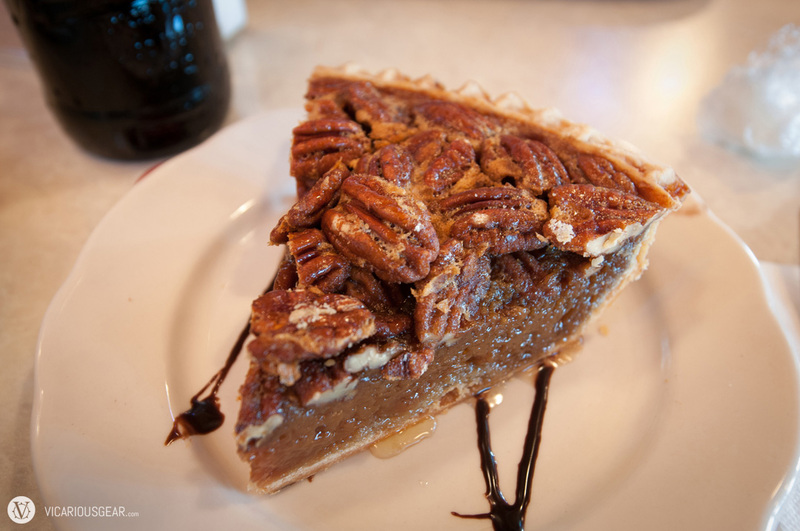 Pappas pecan pie. I just can’t get enough of this buttery Texas native seed. Thanking my lucky stars indeed. We hauled two of these famous pies back to Japan for our friends to try. 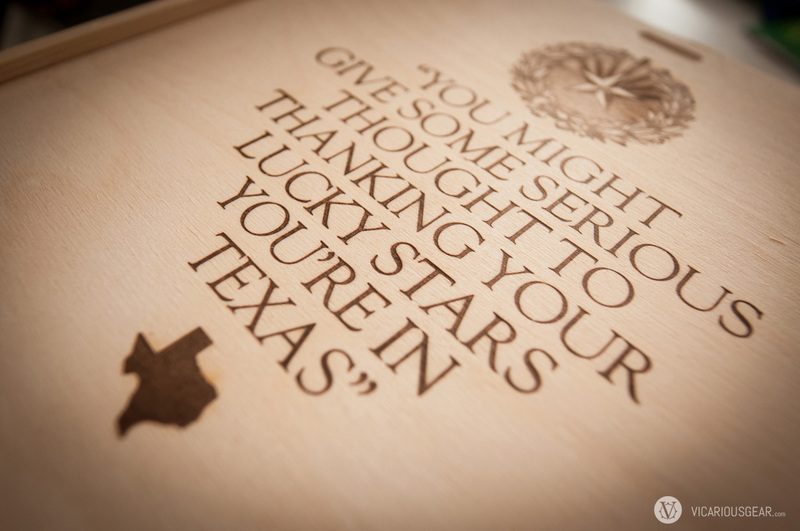 A true Texas staple. Magic contents inside the box. 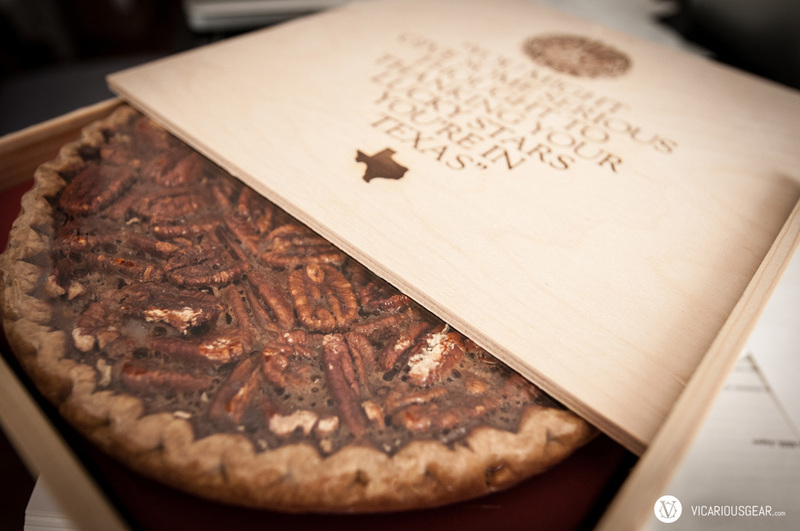 Goode Co. pecan pie.